I have a client who is a guru to many. Her mind is so fast, her insights are completely on target and she is way smarter than me. At first, I was a bit intimidated. I felt a lot of pressure to keep up with her, to dazzle her to earn my keep. What this looked like in our consulting sessions was that I stopped listening and found myself competing. This had never happened before. Wait a minute, I thought to myself. She had hired me after all, she needed something and getting caught up in her brilliant analyses wasn’t helping. When I started to listen, I noticed that this mental activity that had made her successful was also the same thing that was actually stopping her from moving forward with the idea she was developing. Her head was so high up in the clouds that she couldn’t figure out what the next step was because it was so mundane that it was invisible to her. 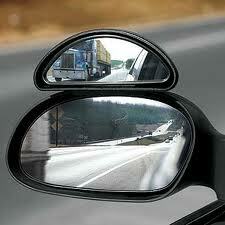 It made me think about blind spots. We all have them. For some women, they can’t see nice guys. Nice, stable men are literally invisible to them. Since we don’t see with our eyes but rather with our brains, our biases impact our visual processing system. For my client, in this case, it meant that the most basic choices were not apparent. And not being able to see them, she couldn’t take them and stayed instead with what she loved and was good at, the high-level talk. It took me a minute but I realized that my role here was not to be as smart as she was, it was to point a finger to the place where her feet met the ground. I pulled out of her reality and saw that the steps forward were simple. There was a little bit of google research to do. A proposal to write and the first draft didn’t have to be perfect. Once we discussed this, there was a bit of a pause. I worried that this might not be exciting enough for her. It certainly wasn’t as stimulating as our earlier blue-sky talks. But it was real and necessary and that ground was the location of the path that would move her towards her dream. It was really simple. She got it and that pause turned into an exhale. She was ready to take her next step. – How is thinking about your idea blinding you from what you have to do? – If you tend to be very mental, walk barefoot outside in the dirt, or if it’s too cold, get a small garden box indoors and grow some herbs by the window. Dirt is real. It will quiet the distractions so you can find your toehold up the mountain that is your development process. ← Where is Your Idea Unconscious?